Do you wait until someone kicks the door open? Or just go for the handle?! 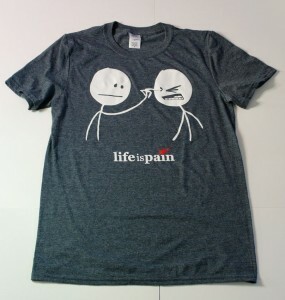 There’s very limited stock in some of the Life is Pain tees, so if you’re interested you need to act fast.